/ Top 5 Best Flea Bombs: How to Use It Effectively? No one likes to admit they have a problem with fleas. But these tiny vampire creatures are more common than you think – especially if you have pets. All it takes is one or two fleas, and after a few weeks, you have an infestation. An infestation that’s so bad, you can’t even sit on your couch without being eaten alive. The buffet is open, and you’re on the menu. Can Flea Bombs Make You Sick? 2. Will It Provide Protection from Future Outbreaks? 3. How Big is the Room That Needs to Be Treated? 4. Will It Leave a Huge Mess? 5. Does It Cover Hard-To-Reach Spaces? 6. Will It Kill Other Types of Insects? How Much Are Flea Bombs? Yes – if you buy the right ones. Just like with any other product, you need to ensure that you purchase a fogger from a reputable brand. Flea bombs use chemicals that kill fleas, and some also kill flea eggs. Ones that also kill eggs can completely eliminate an infestation with a single treatment. Both of these ingredients are synthetic compounds that have a similar chemical makeup to natural compounds found in certain flowers. Many people who adamantly believe flea bombs don’t work look to alternatives, like Lysol, to tackle the problem. But Lysol won’t actually kill fleas – it’s designed to kill germs. To truly get rid of your flea problem, you’ll need to either hire an exterminator or use flea bombs. 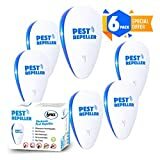 When you’re dealing with an infestation, you want flea bombs that work. Effective products will get rid of the fleas quickly, and fewer treatments will be required. Oftentimes, you can wipe out an infestation after just a single treatment with the right product. We’re going to take a look at five of the best products on the market in our flea fogger reviews. Note: There are no non toxic flea bombs or effective natural flea bombs that we know of, so if you want to go the non-toxic route, you’ll need to try other methods – like diatomaceous earth. From one of the most recognizable names in the home pest control industry, Raid’s Concentrated Deep Reach Fogger kills more than just fleas – it kills roaches, ants, spiders and most other insects. And it keeps killing for up to two months. Non-staining, this fogger has the power to reach deep into cracks and crevices in your home where bugs may be hiding. Unlike other bug bombs, this one doesn’t leave behind any wet or messy residue. The active ingredient in this powerful fogger is cypermethrin. The only drawback with this flea bomb is that it doesn’t kill eggs. For best results, you’ll need to do an additional treatment 14 days after the first, once the eggs have hatched. One package contains three foggers, and you also have the option of purchasing two or four packages at a time. 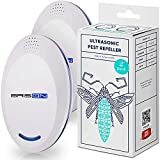 A single 1.05-ounce flea fogger treats up to 625 square feet, so one package of three foggers can treat up to 1,875 square feet of living space. Raid warns that you should not use the cans in rooms smaller than 5ft x 5ft, and you should not place more than one can in any single room. Users report having great results with the Concentrated Deep Reach Fogger, and its affordable price makes it the best flea bomb for budget-conscious users. If you’re looking for a fogger that won’t leave a huge mess behind, the Hot Shot No-Mess fogger is a smart choice. This deep-reaching formula uses dry fog to kill bugs. It’s non -staining, doesn’t leave a lingering scent behind and does not leave any oily residues. And because it uses a dry fog, Hot Shot’s product is one of the safest flea bombs on the market. The package even says there’s no need to turn off pilot lights, which is necessary with other bug bombs. The Hot Shot fogger kills more than just fleas – it also kills: crickets, ticks, ants, gnats, mosquitos, roaches, pillbugs, palmetto bugs, moths, silverfish, spiders and more. There are a few active ingredients in this fogger, including: tetramethrin, piperonyl butoxide, and cypermethrin. 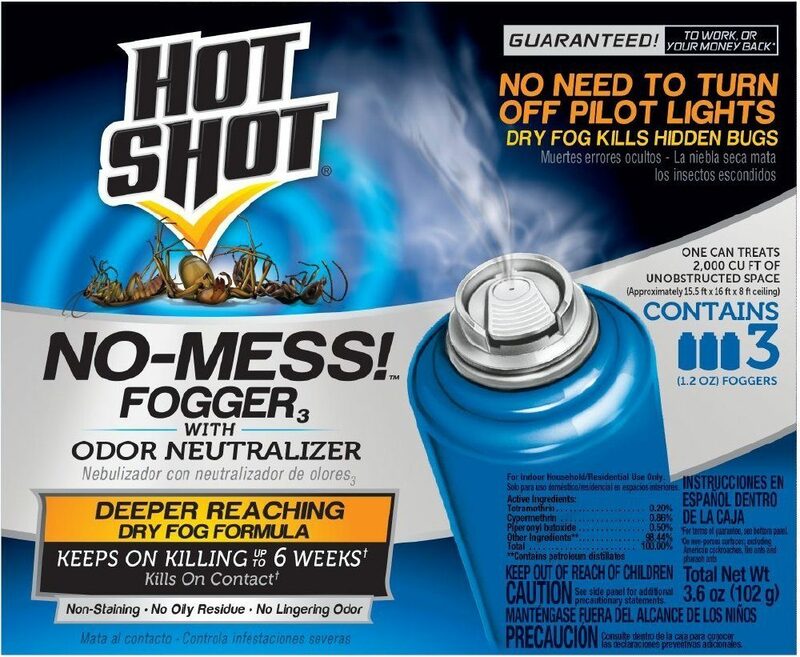 Hot Shot’s no-mess fogger is one of the best flea bombs for houses because its dry formula prevents staining and poses less of a fire risk than other bug bombs on the market today. The Hot Shot Flea and Bed Bug fogger is the best flea fogger for anyone who is also dealing with pesky bed bugs. And this fogger also kills ticks as well as hornets, lice, beetles, fire ants, flies, wasps, mosquitos and more. 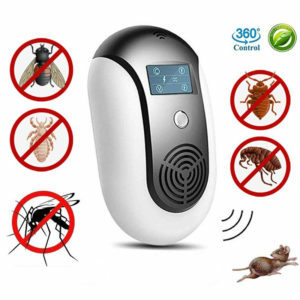 This powerful fogger inhibits flea re-infestation for up to seven months, and each package contains three cans. That’s all thanks to the ingredient Nylar, which prevents fleas from developing into adults. Each two-ounce fogger treats rooms up to 16ft x 16ft with 8ft ceilings, or 2,000 cubic feet. The active ingredients in this bug bomb include: pyrethrins, piperonyl butoxide, and n-octyl bicycloheptene dicarboximide. 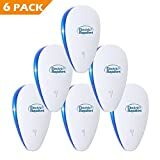 The only downside to this product is that it doesn’t use the same dry formula as the previous fogger, which means you’ll have to take extra precautions when using it (i.e. turn off pilot lights and electricity). With that said, Hot Shot’s flea and bed bug bombs are highly effective and incredibly affordable, so you can tackle the infestation without spending a small fortune. Zodiac is a brand you may not have heard of, but their flea bombs are highly effective. Like other bug bombs, they do more than just kill fleas – they can also kill cockroaches, ticks, ants, mosquitos, spiders and more. Zodiac’s potent formula prevents re-infestation for up to seven months. The active ingredients in this fogger are permethrin and (S)-methroprene. A single can treats up to 1,125 square feet of space, and the fogger doesn’t leave behind any lingering odors or mess. While a little more expensive, this fogger kills both adults and hatching eggs, so you’ll need fewer treatments to tackle the problem. From the famous pet care brand, Hartz UltraGuard Plus fogger is designed to kill fleas and eggs in your home. It will also kill flea larvae as well as bed bugs and ticks. Hartz’s formula contains an insect growth regulator that continues working for up to 210 days, and because it kills the eggs, you’ll notice an immediate reduction in your home’s flea population after treatment. UltraGuard plus was designed for homes with serious infestations, so if the flea population in your home has gotten out of control, this is the right fogger for you. Yes, if used improperly. No matter which product you use, you must vacate the home for the entire time the bomb is active. The product’s instructions will tell you how long to stay out of the home. Between 2001 and 2006, 466 people were injured or became ill because of bug bombs. And the majority of these were due to the users not leaving the home in time, re-entering the space too early, excessive use of the foggers and failure to alert others nearby. At this point, you might have decided that a flea bomb is the best treatment option for your infestation. There are plenty to choose from and we’ve already given you five great options. However, you’ve still got some things to consider before making your final decision. As mentioned earlier, fleas go through very distinct phases during their life cycles. A good flea bomb should be able to kill not only adult fleas, but the eggs and larvae as well. Preventing the fleas from reaching adulthood is key to knocking out an infestation for good. Check out the types of active ingredients in the flea bomb and do some research. Some bombs will only contain a pesticide to get rid of adults. You’ll want to choose one with added insect growth regulator. This ingredient will have a greater effect on fleas that are in the earlier life stages, keeping them from laying more eggs as adults. Do your research and take time to carefully read product reviews of the brands you’re considering. Fleas and most insects are very resilient and can still find their way back into a home after a powerful chemical treatment like a bomb. It’s also possible for a few stragglers to survive the initial impact. For this reason, you’ll want to take care to find a flea bomb that continues killing for at least two months after use. Do make sure that it will also get rid of the eggs and larvae over these two months as well as the adults. It’s your only hope of preventing multiple generations from making your home theirs again and again. Consider how much area you need the treatment to cover. You don’t want to miss any spots in a large area, but you also don’t want to use an excessive amount in a smaller area. Using too much can be hazardous to you and your family’s health, while too little just risks inefficiency. Check the labels of the packaging. You’ll find that some available flea bombs can cover up to 625-square feet of space. If that’s not enough, don’t assume two bombs are a good idea – check the instructions first. Now that you’ve figured out how much space needs to be treated, you’ll want to figure out how to keep that space from becoming a complete disaster zone. Since these flea bombs are made with harsh chemicals, they often create very harsh scents and unpleasant smells. Look for products that don’t leave oily residue and have an odor neutralizer. Especially if you’re treating a common area – like a living room, bedroom, or kitchen – you’ll want to avoid stubborn stains and residue. You can do this by looking for a flea bomb that uses a dry fog. If not, you’ll risk chemical damage to your furniture and belongings. By now, you know that fleas are expert hiders, even the young ones. You’ll want to pick a flea bomb that will penetrate the hard-to-reach spots where they like to hide in. For instance, cracks and crevices in carpeting fibers, fabrics, wood, under the furniture, etc. The chemical ingredients should also be able to force the fleas out of their hiding spots to further expose them to the treatment. There are plenty of products on the market that are formulated to kill one kind of insect at a time. In addition, it’s more than likely that you have or will experience more than one type of insect or pest in your home. Spending money on each individual pest can cost a lot of money and waste a lot of time. That is why you should look for a bomb that’s formulated to eliminate a variety of insects, such as spiders, ants, mosquitoes, roaches, etc. This will save you time and money in the long-run, especially if you make sure that the effects are long-lasting. After all, it’s good to just knock them all out in one go. Flea bombing does require some planning – you can’t just set it off without taking a few precautionary steps first. The flea bomb you choose will depend on the size of your home, or the area of your home you want to treat. Foggers come in a variety of sizes, so you’ll need to calculate the size of the area you wish to treat. As a general rule of thumb you’ll want to use one bomb per room, but many people have had success by placing a single bomb in the hallway and keeping the doors open in adjacent rooms. Most flea bombs are used in the same way, but be sure to read the product’s instruction to make sure that you use the fogger properly. The third step is the most tedious, but absolutely necessary – please don’t skip it. Vacuum and clean the entire home. When you run the vacuum, the vibrations from the machine will draw out the larvae, making your fogger more effective. Cleaning the entire home will also help kill a few fleas here and there, making it much easier to get rid of the infestation. Be sure to open all drawers and doors in infested areas, so the chemicals from the fogger can reach these areas. Keeping drawers and doors open (including cabinet doors) will kill any fleas that may be hiding in these hard-to-reach spots. Next, remove all cookware, utensils, food, dirty laundry and small appliances from treated areas. It’s much easier to simply remove these items (especially food) than it is to clean them after they’ve been coated in chemicals. If you’re treating your entire home, you may need to box these items up and store them outside or in your vehicle until the treatment is done. Once you’ve removed these items, it’s time to cover all special furniture, countertops, tabletops and electronics. The chemicals from the fogger can damage these items. Plastic tarps or sheets will provide adequate protection. You can find old sheets at a thrift store, and you can find plastic tarps at your local home improvement store. Cut the power. Turn off all the lights in your home and any other electrical device that may be in use. Turn off the heat, air conditioning and any fans as well. The chemicals in the fogger are flammable, so leaving on electronics and lights may start a fire. Close all windows. In order for the flea bombs to be effective, the chemicals must be kept inside the home. Make sure that all windows and any other openings to the outdoors are closed prior to treating. Place the flea bomb on top of newspaper in the rooms you want to treat. The newspaper will protect your floors from the product’s residues, which can stain carpets or hard floors. Make sure all flea bombs are properly in place and set atop newspapers before you move onto the next step. The final step is to activate the fogger. Follow the product’s instructions on how to activate the flea bomb. Start with the room furthest from the exit, and work your way out of the home. Vacate the home and stay out for two to four hours – or however long the product recommends. Make sure that all people and pets are out of the home while the fogger is working. There are no flea bombs safe for pets, so make sure they are with you or safely with a caretaker outside of the home. While you’re away, make sure you treat any pets for fleas before returning home. Otherwise, you’ll just bring more fleas back inside. Give your pet a bath using flea-controlling shampoo, or visit the groomer for a flea dip. You can find flea bombs at Walmart in the garden/outdoor department. Flea bombs at Home Depot are usually in the aisle with other pest control products. You can also find flea bombs at Lowes in the pest control section. The price of flea bombs can vary greatly depending on the brand and how many fogger cans are included in each package. Products that also kill flea eggs tend to be more expensive than the ones that only kill adult fleas. Fleas can be a pain to get rid of, especially since they breed so quickly. 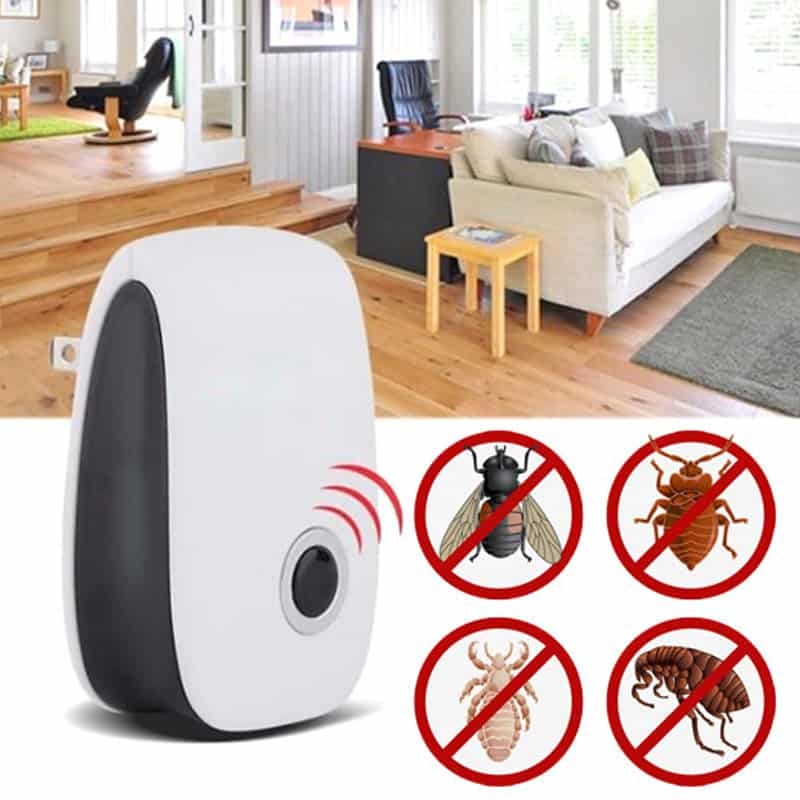 But with the right fogger, you can tackle the infestation and enjoy a flea-free home once again. Some people will assume that simply treating their pets will rid their home of a flea infestation. However, fleas are master hiders. Because there are so many areas around your house that they can hide in, it’s sometimes difficult to get rid of a flea infestation. In fact, several generations can thrive under the right conditions. It’s important to know which areas of your home fleas are likely to be in, so that you know where to focus your attention during treatment. A humid environment is a must for the survival of fleas. For their eggs to survive, it’s especially important – flea eggs require a humidity level of around 70% to 75%. Larva requires an environment of around 50% humidity. Under the right conditions, enough fleas will make it to adulthood. The adult fleas with then continue to lay more eggs and the cycle continues. Before you know it, you’ve got a major infestation on your hands. Because fleas really love warm, humid areas, check your socks and shoes. These are the perfect moist, warm spots for fleas to hide and thrive in. Not only are your sheets, carpet, clothing and couch cushions warm, cozy spots, but they also provide a safe space for fleas to grow and live in. Fleas love to hide in small crevices and cracks. Since their eggs don’t have the same stickiness as other insect eggs, they will often fall off the spot where they were laid. Once a female flea reaches adulthood, she can lay around 40 eggs every day. In other words, even just a few fleas brought in from the outside can really cause a problem if their eggs can survive. After hatching, the tiny flea larvae will build their cocoons and begin the pupae phase. Fibers in fabrics and carpet continue to keep them safe throughout these early life stages. The cushiony safety of the fabrics, combined with the hard outer shell of the egg or cocoon, make it very difficult to destroy them. While hard flooring isn’t their first choice, fleas will also sometimes find hiding spots in your wood and tile. Adult fleas will often avoid these spots because they tend to be on the cold side. However, there are plenty of cracks and crevices that are perfect for eggs and larvae to grow and hatch in. Carefully follow the instructions provided with your flea bomb of choice. Most will only recommend using one per room. If you go overboard, you risk leaving excessive chemical residue that can be hazardous to you, your family and your pets. Even if you find a powerful one that penetrates tough spaces, it’s normal for the initial bomb to take out about 80% of the fleas. If you still notice some left after the treatment, first try a few spray treatments. Focus on areas that may have been especially tricky. If needed, you can deploy another flea bomb about once per week. Pets are the ideal host for fleas. However, flea bombs are meant to treat your home for fleas. The toxic chemicals that are released are very dangerous for you and your pet to be around in once deployed. That is why you should be sure that your pets are with you or in another safe place while treating. 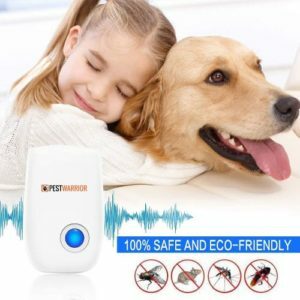 In other words, treat your pet for fleas separately from your home. You can find many forms of pet-safe treatments, either over-the-counter or prescribed by a vet. There are even medicated shampoos and accessories like flea collars. These flea bombs can cover a lot of area, which is what you would want. Make sure to carefully cover items that you might want to keep clean, such as cooking equipment, utensils, plates, etc. Also, carefully and securely store any food to protect it from contamination. Better yet, remove it from the house. In addition, take or tightly seal any kids toys that might be exposed in containers. Kids like to put things in their mouths and need to be especially protected. Consider taking any houseplants you care about as well. It’s very possible that they will react poorly or even die due to chemical exposure. You can pull a lot of fleas out of their hiding spots in the carpet by vacuuming the room before setting off the bomb. Bringing them to the surface will help make sure they get maximum exposure to the chemicals. Plus, don’t forget to open up any cupboards and cabinets to allow the fog to get into the cracks and crevices that may be housing fleas. If you’re opening any from the kitchen, remember to move or carefully cover any plates, bowls and cups. The chemicals used in flea bomb treatments are highly flammable. Avoid fire hazards by making sure all electronic equipment has been properly shut off and unplugged, including lights. Don’t forget to shut off any gas ignition systems as well. Make sure all of the windows and doors to the outside are secure. This ensures that no toxic chemicals are leaking outside. It also provides the most potent treatment for your home. If someone in your family suffers from allergies or asthma, consider taking extra precautions or skipping the bomb altogether. Even after the fog has settled, sensitive individuals could still be affected by leftover chemical residue. Perhaps have them stay somewhere safe for a longer period than everyone else, until items can be properly cleaned and aired out. Another option is to find another means of treating the infestation to avoid asthma attacks or allergic reactions. The harsh chemicals of the bomb are dangerous if inhaled but can also cause major damage to your skin and eyes. When it’s time to activate the bomb, always wear a face mask covering your nose and mouth. You must also keep the fogger far from your face. Remember that the contents of the bomb will come out vertically, so stay to the side of it. Don’t be discouraged by fleas. Understanding how fleas multiply and all the tricky places they like to hide in will help you get rid of them for good. Remember that it’s important that your flea bomb also has an effect on younger fleas to really prevent recurring infestations. After all, those eggs and larvae are the difficult ones to get. Avoid wasting your time and money on just any flea bomb by doing plenty of research on the different options. Consider the different ingredients and how they help you as well. Reading product reviews and learning about other people’s experiences using these treatments will help you decide if it’s the right one for you. 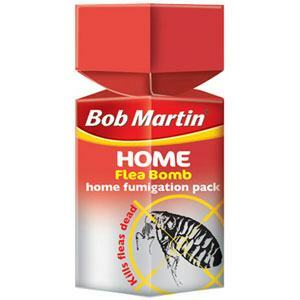 Once you’ve decided on a flea bomb, take every precaution necessary to protect your family and items. Find a safe place for your family and pets to stay in while the treatment is underway. Don’t forget to cover any other sensitive items you may have left behind. Lastly, check and double check that all electronics are shut off. Flea bombs are really the best option for treating infestations. They can be used in any room of your home and can cover a lot of space as well as hard-to-reach spots.